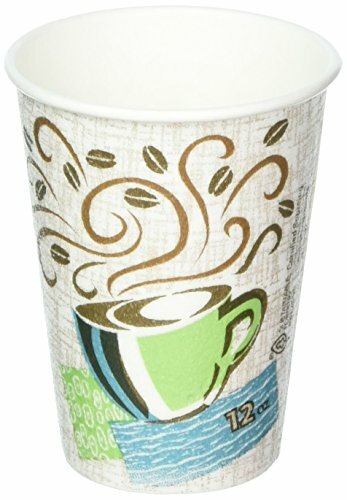 Dixie PerfecTouch Hot Cups, Paper, 8oz, Coffee Dreams Design, 50/Pack Patented paper process provides excellent insulation and helps reduce the need for costly double-cupping and beverage sleeves. Cup design provides a comfortable grip. Contains no polystyrene foam. Cup Type: Hot; Capacity (Volume): 12 oz; For Use With: DXED9538, DXETB9538X, DXE9538DX, DXEDL9538B. Contains no polystyrene foam.